favorite deep dish pizza: lou malnatis. there's honestly so many to choose from and i do like them all - i'll never complain about going to get deep dish pizza! but lou's is from my hometown and it will always be my favorite. it's this perfect buttery crust that's not too thick and chewy (especially on the end, the edge there) which is a problem i have with some other deep dish pizzas. favorite chicago style hot dog: superdawg. come on man, they have dancing hot dogs on the roof, how can they not win? a chicago style dog is a hot dog with mustard, relish, onions, sport peppers, tomato slices, celery salt, and a pickle. there is no ketchup and i truly despise people who eat hot dogs with ketchup, it makes me gag just to see it. superdawg is definitely the best option out there, they use the bright neon green relish that (really!) taste better than anywhere else, plus the actual dog is pure beef, cooked perfectly, and delicious, served on a super fresh and soft poppy seed bun. 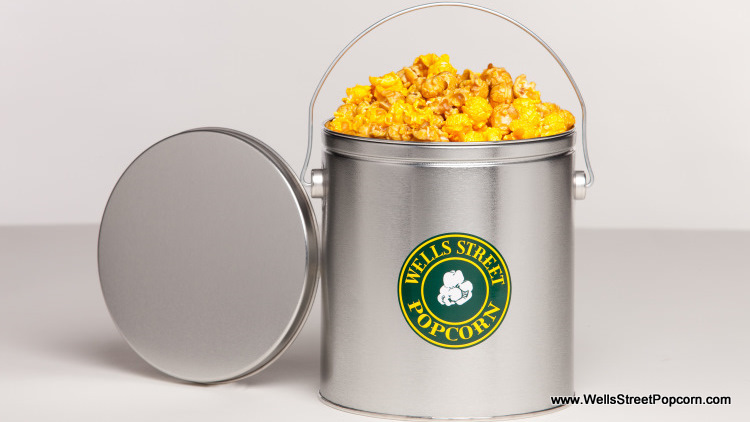 favorite chicago style popcorn: wells street popcorn. first you should know that 'chicago style' popcorn means cheese and caramel mixed together. anything else is simply wrong, like ketchup on hot dogs. garrett's is iconic, for sure, and if you're visiting the downtown area you'll pass a whole bunch of them. it's still delicious, albeit overpriced, popcorn. because it was on 'oprah's favorite things' and that makes everyone want it. but it's not the same as well's street popcorn, which i find to be fresher. favorite italian beef: bari's. al's beef is probably the most famous and the easiest to get your hands on once you're here. and it's good, you will get a perfect idea of what chicago italian beef is if you eat at al's. it consistently ranks high. but i have to say my favorite is from an authentic italian deli called bari's. i might be partial because it's directly down the street from my apartment, but i really do feel that the meat and bread is more fresh here than anywhere else. and it's good bread too, it really holds up to the juices you get from the meat and the peppers. favorite chocolates: frango mints. it's not traditionally 'chicago' to be considering chocolates on the list, but there's actually a ton of places! my mom would argue that margie's candies is the best but... no. frangos. frangos are iconic and delicious and now come in so many options. they were a staple of marshall fields. once that was bought out, macy's still kept the frangos around. seriously, if you're shopping downtown in a macy's, get the frangos. i know some people say they aren't as good as when they were marshall fields, but i don't think that's true. oo and also, if you're on state street, you can eat in the cafe downstairs and get frango mint ice cream pie. you're welcome. what food is your hometown known for? You know what? I may have to steal another blog post idea from you! Memphis is known for its BBQ. Other cities think they have good BBQ. They don't. I've only been to Chicago once. Loved it! We ate at a pizza joint called My Pie. It was a hole in the wall, but it was good. Lou's is totally my favorite too. Next time I come to Chicago ... blate? I'd say a must try in Indy would be St. Elmo's Steakhouse's shrimp cocktail. Just when you think the heat's got nothin' on ya, right before you brag out loud you feel like someone shot a BB gun straight up your nostrils. Not really sure why everyone enjoys such a painful experience, but it is quite hilarious to watch all the classy people freak out with their napkins to their noses. And thanks...it's so late at night and all I want is the Italian beef sandwich in the picture! Cheese and caramel mixed together?! I'M INTRIGUED!!!!!!!!!!!!!!!!! Seriously, I need to visit already. Seriously? You "truly despise" people who put ketchup on hot dogs? I dunno. I "truly despise" rapists. I "truly despise" people who abuse children. I "truly despise" people who abuse and abandon helpless animals. People who put ketchup on hot dogs? Eh. I think thats gross, but to each his/her own. People need to really think about the words they use. Words have meaning. Don't say what you dont mean. Isn't there another forum you should be creating to snark on blogs?? You know.... since you think you are better than Alice???? Haha Kara girl you need to relax! I know you've never been here before but this is a humor blog, you really needn't take everything so seriously! If you don't like my word choice... insert shoulder shrug here. Oh I didn't know that was her, Nat! That makes sense now :) Yeah there's no trumping Alice/PP! That popcorn sounds amazing. And I am team mustard all the way! And I totally agree with you on the popcorn issue. Garrett's was yummy, but way to pricey. That pizza looks soooo good! Calabash style seafood was invented about 10 minutes North of were I currently live, as a matter of fact the whole town is named Calabash. Cheesesteaks, soft pretzels, and water ice (we say it wooder ice in our accent). WHY do people eat ketchup on hotdogs? It is not allowed. Ooh this whole list except I haven't tried Wells Street Popcorn. I'll have to get there, I always send people Garretts when I do any kind of swap. I am SO hungry now. Chicago has the best food. Why do I live in the middle of nowhere ...WHY?! Hmmm NJ has such good pizza and bagels...I don't think I can ever move just because of the bagels! Now I'm starving! I've heard of both Lou Malnatis and Superdawg before, but haven't been to either. Does the place where we live have any famous food? Not really. My hometown in Malaysia is famous for being the best place to eat in all of SE Asia, so that's a pretty good distinction. My town isn't known for anything, although the town I just moved from has a working Sorghum mill. But I dislike Sorghum. The state is known for Bourbon though. This post made me want to visit Chicago SO badly!! I only recently discovered the whole caramel/cheese popcorn mix thing (and it is definitely not the authentic kind you recommend here! )...very intriguing flavour combo but so good! I'm going to reference this post if I ever make it down there!! oh food, glorious food. my favorite food of all time is popcorn and i think i need some of this in my life asap! YUM I'm most looking forward to the food when we visit this summer CAN'T WAIT! I don't know my hometown is known for any kind of food. Maybe pierogi's in Cleveland. Of course I have never lived in Cincinnati, but I will totally claim their chili! SO GOOD!!! Pretty much the only way I will even eat chili! And remind me not to eat pizza, hotdogs or popcorn around you. You might hate me! lol! Oh Chicago....all we do when we go there is eat and shop...then repeat for 3-4 days.....straight heaven! LOVE Chicago pizza!! I will have to try that one next time. The dancing hotdogs are super cute, although I cannot stomach hot dogs and haven't even attempted to eat one in years. I don't think I've ever had a true deep dish pizza, but pizza is one of my favorite foods of all time (because I am perpetually a child apparently) and I have a feeling I would be all over that. Oh man, Superdawg sounds amazing. I loooove myself a good hot dog! Philly is famous for cheese steaks and soft pretzels. The beaches of Jersey are famous for Johnson's popcorn (caramel corn) and Salt water taffy. Garrett's is totally overrated! Every time I get popcorn there it's always a teensy bit stale. Usually I get Nuts On Clark since there is one in Union Station. Frango mints are the best!!!!!!!! There is a SuperDawg location out by us in Wheeling. Do we think it would be cheating for my 101 list if I went to that one? Lou Mal's is definitely the best deep dish pizza in the city, hands down. Also, which area of Chicago do you live in?! I live right down the street from Bari's, too! I need to go back to Chicago and dine with you. Like, ASAP. Love Lou's! I need to try the rest! Ok. that's it. I'm planning a trip to Chicago ASAP because I haven't had Lou Malnati's in forever and it sounds SOOOO good right now! You had me at Pizza. And now I want to order some. We don't have deep dish like that though here in the South. At least none that can compare.